I received a tip about the new Tamron 28-75mm Di III RXD FE from a reader today. “Tamron will release a new Sony FE mount lens on Thursday the 22nd. 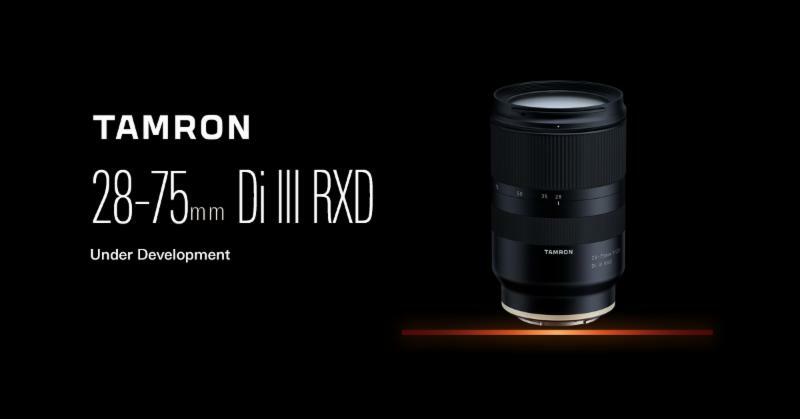 It will be a 28-75mm F2.8 Di III RXD lens (RXD being a new stepping AF motor). This entry was posted in 3rd Party Lens and tagged Tamron, Tamron 28-75mm Di III RXD, Tamron 28-75mm Di III RXD FE. Bookmark the permalink. Trackbacks are closed, but you can post a comment.